*This tour DOES NOT include airfares and visas. *All inquiries about camp are received by email only. *All the schedule is based on Korean time. Are you ready for the trip with HS? Out of a crowded city! Round-trip transportation (chartered bus), Lodging (2 nights), Meals (4meals), Program entry fee, Souvenirs, Travel insurance, Guide fee, personal translator machine (English, Japanese, Chinese) for some program etc. * 2018’s camp will only have ‘4 persons per room’, so don’t be mistaken. * This tour DOES NOT include airfares and visas. - More than the expectation! Special class only for HS! * Depending on the local situation, the program can be changed. *Depending on the local situation, the program could be changed. *The confirmed participant will be informed the details of the program separately. *Place and time for gathering for bus will be informed after payment, separately. ※ Personal hygiene supplies (shampoo, conditioner, toothpaste, toothbrushes, cotton swab, combs, etc.) and dangerous facilities (irons, power strips, etc.) are not prepared. ※There are Ondol room and double bed room. All rooms are with random assignment. Total number of participants are limited form 2018 HS Camp. Please check the information below for your application requests. - The confirmation will be notified via representative’s email and mobile message individually on the next day after the reservation at 11AM. 1. Applications inquiry will be received by email only. 2. The participant will be confirmed based on the draw lots and then reservation will be confirmed only if the payment is completed. 3. Please make sure to return the reservation form within its available period. Those who make a double reservation and/or make a mistake in the form will be excluded immediately without a prior notice. 4. Maximum 4 persons can be applied for one application. Only one application per person will be accepted. If you submit a duplicate application as a person or several teams, you will be excluded from the application list. If your application is discovered, duplicate applicant as well as the entire relevant group’s eligible to participate may be limited. 5. This email is made for you inquiry. Please kindly understand for the late response. ▷ Booking Notice: 20th September 2018 (Thursday) 5PM (The participant will be notified via participant’s email or mobile message in consecutive order. 1. The winners who receive the email can participate in the camp as long as you make the payment during the payment period and receive the payment confirm email. 2. The winners’ announcement and payment account will be informed to the winners (representative) individually through emails. 3. After the payment period, there may be an addition of persons. 4. Participation fees are only available through the money transfer. If you need a cash receipt, please informed prior on application form. 5. All the further announcement for participants including winner announcement will be informed through email to only representative, not all the participants. 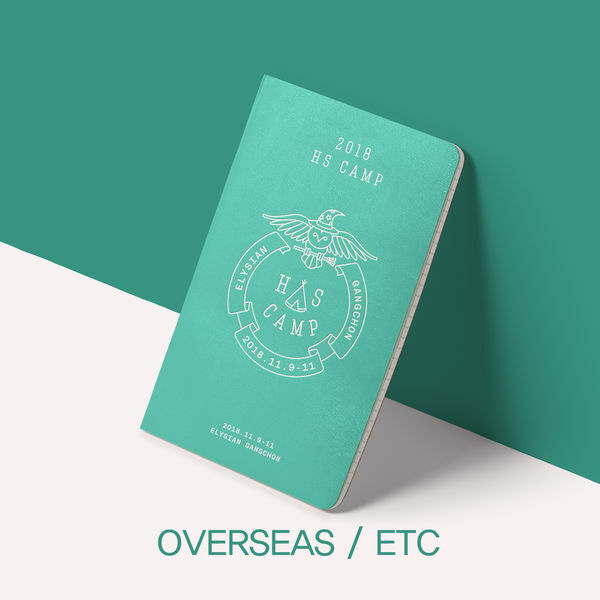 ★This camp is for Korean and all the global fans. ★Depending on the situation, some programs can be added or changed. ★Reservation is only available through TOURTAINMENT, there is no other official reservation management. ★Please bring your personal toiletries. ★Please make you own bed including cleaning, and garbage disposal. ★Rooms will be a random assignment. Room assignment is not possible. * This tour is an event tour package, not a normal trip package. So this package has the special term about cancellation. Thank you for your understanding.